The Cat6A/7 Termination Kit is the perfect system for providing Cat6A/7 terminations for audio, data, and video applications. 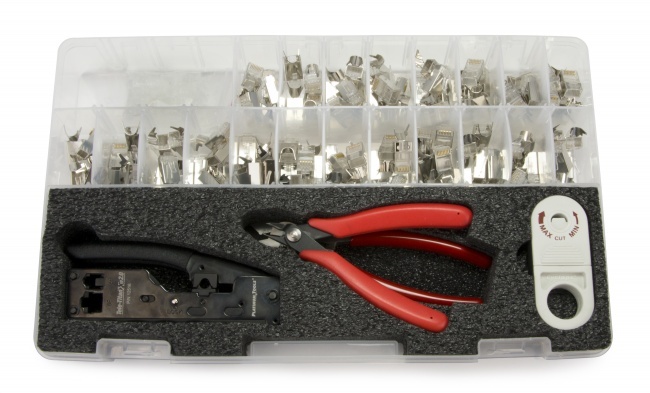 Included in the kit is the RJ45 Cat6A/7 Shielded Connector with a three-piece bar & liner design that provides true Cat6A/7 performance with every crimp. 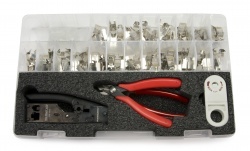 These connectors are made to fit the Tele-TitanXg™ 2.0 which combines two crimpers into a single tool, making connector and external ground crimping easy.